The city of Bremerton is smack in the middle of the Kitsap Peninsula, between Seattle and the greater Olympic Peninsula, and home to the Puget Sound Naval Shipyard on the banks of the Sinclair inlet. The shipyard was established in 1891, and for well over a century the city has waxed and waned with the fortunes of the naval economy -- which of course have tended to be diametrical to the fortunes of peace in the United States. In 1915 the naval yard here was building submarines for Imperial Russia, only to sell them to the U.S. government in the wake of the Bolshevik Revolution. With America's entry into that war the workers employed at the base rose to 6,500 by 1918. The next great war brought further growth, starting with five warships damaged in the Pearl Harbor attack moved here for repairs. Soon the "Home to the Pacific Fleet" employed 32,000 shipyard workers and city's population grew to 80,000. Shortly after WWII the base was put to work recommissioning mothballed warships for the Korean conflict. 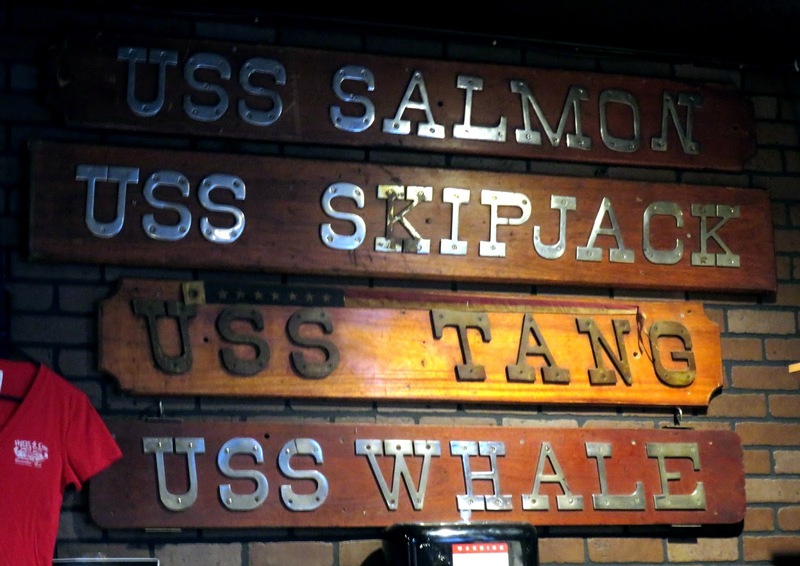 As you might assume, a city based primarily on young male military and shipyard workers has had an unusually raucous history of bars and other forms of dubious moral entertainments, and one of the pleasures of having a drink in Bremerton is finding old locals who will recount wild stories from those days. By 1901 there were at least 15 saloons, and from that point, barely slowed through prohibition, and virtually until present days the naval brass tusseled with local government to curtail temptations of sailors and staff. Into this breach, in 2001, stepped Mike Looby, with a bar called the "Horse and Cow." 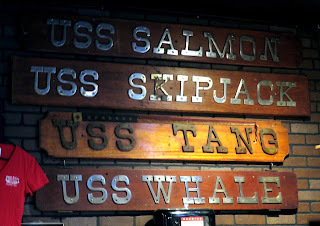 This Horse and Cow was an extension of a family business of bars started by Mike's father Jimmy in 1953, all with a naval submarine theme, and all named for the images tattooed on either anle by merchant sailors during the World Wars. The images were adopted from depictions of Neptune, the Roman god of the seas, in which he was accompanied by a small horse and cow, and brought sailors good luck against attacking submarines and other contemporary menaces. The first Horse and Cow was established by Jimmy in San Francisco, later moved to Hunters Point and then Vallejo. 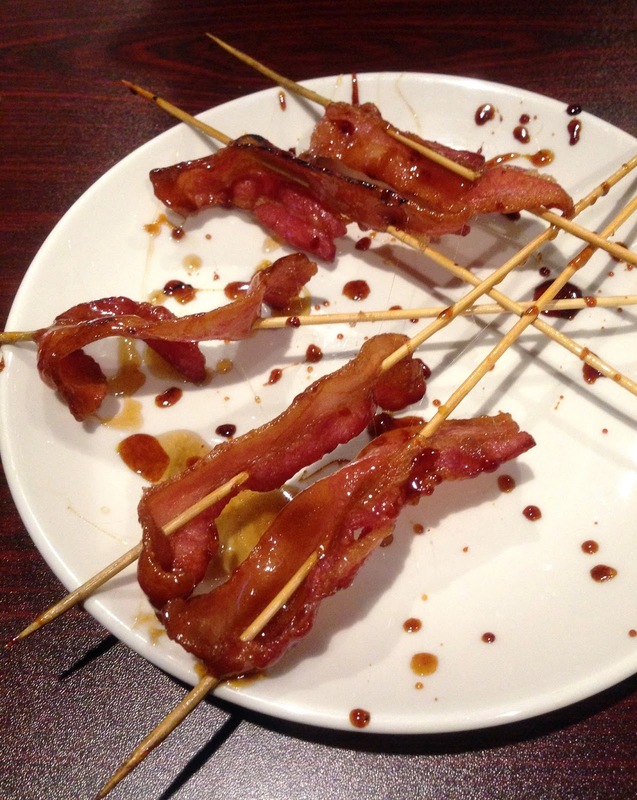 Son Mike worked there before establishing his own version in Point Loma, before both father and son closed the California locations and opened the Bremerton version on Northlake Way. 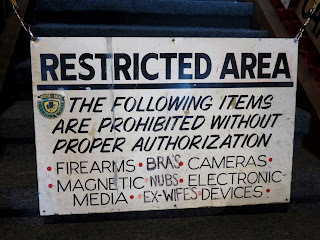 They did not hurt for lack of business. The Kitsap Sun reports 600 people arriving on Friday and Saturday nights, lined up outside waiting to get in. 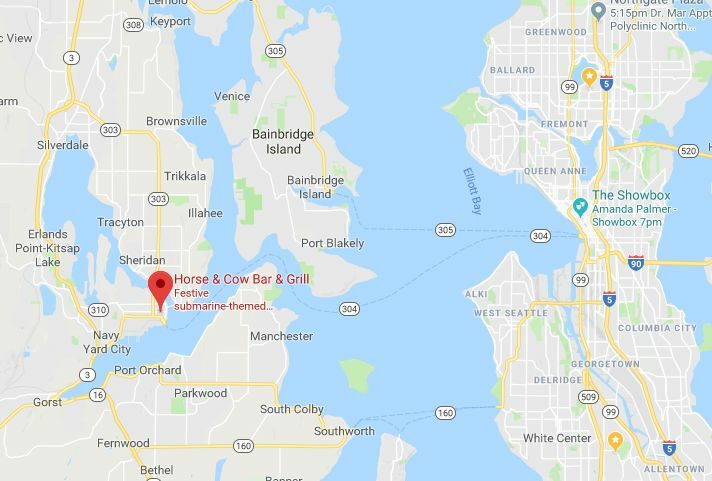 But the neighbors and authorities disliked the noise, drunks, and DUIs, and as per tradition, the naval base leadership fought to close or move the place, eventually threatening that any sailor who got a DUI after drinking at the Horse and Cow would be relieved from duty. 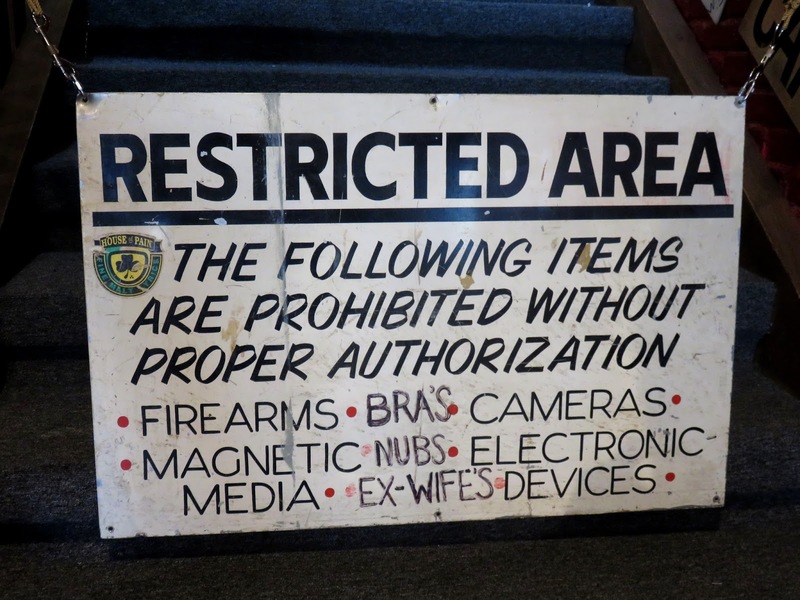 As these warnings were cutting into the business, Looby sold the Northlake Way place in 2010 to Mike Stoddard, who remodeled and renamed the place "Stoddy's Bar & Grill." In the meanwhile Looby had opened a version in Guam in 2007 where the business faced less restrictions. 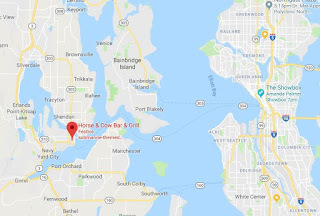 Cut to 2014, and a new Bremerton Horse and Cow has opened in a small brick building on a small brick road just a short walk from the ferry dock. It's a bit tamer now -- much more tame, it would appear, than the Guam version. 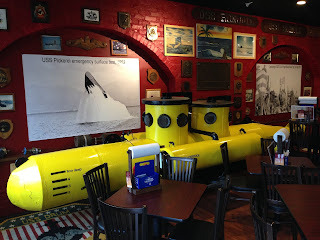 But it still has the submarine and military theme, the burgers, the good choice of beers, and the "famous" burgers and gourmet wings with signature sauce.